Godzilla vs MechaGodzilla (1974) – SKREEONK! Aliens from a Black Hole invade Earth! Fighting Fire with Fire! Directed by Jun Fukuda, 1974’s “Godzilla vs MechaGodzilla” was the 14th entry in the Godzilla franchise and the second to last Showa era Goji film. 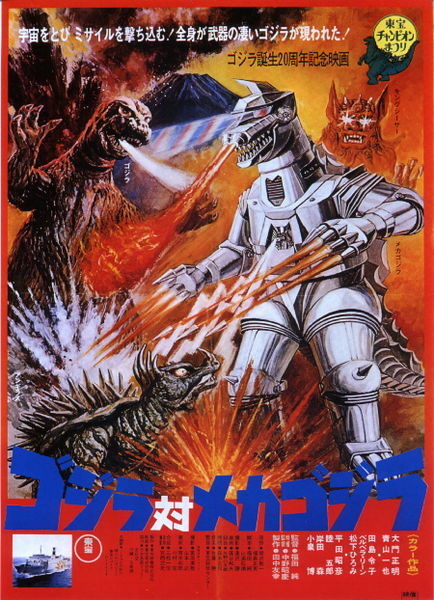 It was originally released in the U.S. as “Godzilla vs the Bionic Monster” and later “Godzilla vs The Cosmic Monster” when Universal Studios complained that the title was too similar to their own TV series, “The Bionic Woman” – though I’m positive Godzilla was very apologetic for the confusion. 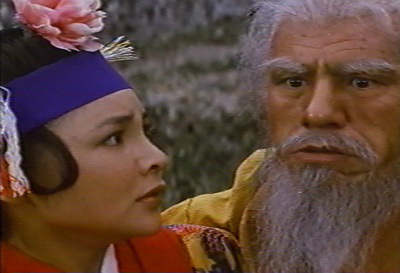 The story begins in Okinawa, when Nami, a young lady descended from the Azumi royal family, has a vision of great calamity, predicting that “a monster will set fire to the city and trample the people who try to run away.” Two brothers who witness the prediction, Keisuke and Masahiko Shimizu, then go on to make their own discoveries, Masahiko finding a strange piece of metal while cave exploring and Keisuke uncovering a long lost shrine during his construction job. A lady archeologist soon arrives and identifies a small statue and a wall mural depicting yet another, far more ancient prophecy. The statue is of King Caesar, the legendary guardian deity of the Azumis who defended Okinawa against attack from the mainland centuries ago, and the mural foretells “When a black mountain appears above the clouds, a huge monster will come forth and try to destroy the world, but when the Red Moon sets, and the sun rises in the west, two monsters will appear to save the people.” Unable to decipher the hieroglyphics on the statue itself, the pair take a flight back to the mainland to visit Professor Wagura for his help, and whilst in the air they meet shady freelance reporter Nanbara and see a dark cloud that resembles the black mountain mentioned in the prophecy. 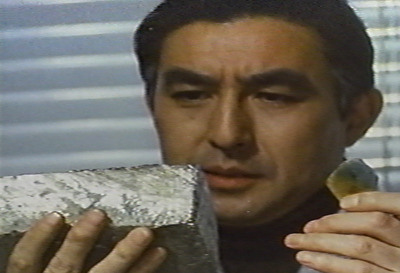 Elsewhere, Masahiko brings the metal he found to the home of Professor Miyajima and his daughter Eiko, and it is there he learns that the sample is in fact space titanium, not exactly a common substance on good old planet earth. As if that weren’t enough, Godzilla emerges from Mount Fuji and goes on a rampage, going so far as to badly injure his trusted ally Anguirus! The confusion behind Godzilla’s strange behavior is made clear when he’s revealed to be an imposter as the real Godzilla arrives to avenge his friend. The battle which follows exposes the evil twin as being a giant robot built in Godzilla’s own image, composed of space titanium alloy and loaded with high tech weaponry far more advanced than anything built by humanity, meaning of course aliens are behind it, aren’t they always? The duel ends in a draw, Godzilla returning to Monster Island to recover from his injuries and prepare for round two, while MechaGodzilla is called back by his alien creators for repairs. What follows is a race against time as our heroes struggle to keep the statue, which holds the secret to finding and awakening King Caesar himself, out of the alien’s grasp even as Professor Miyajima is forced to help repair MechaG’s control system when the aliens take Masahiko and Eiko captive. 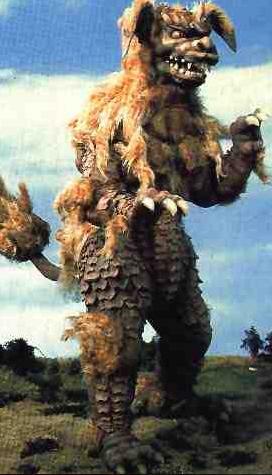 Monsters and special effects: Godzilla, portrayed by suit actor Isao Zushi, utilizes the same MegaroGoji suit used previously in “Godzilla vs Megalon.” However, while Godzilla was still a benevolent defender of the earth at the time, the suit was slightly modified to give him a more hardened look to go along with the darker tone of this film. Otherwise the suit had not been tampered with much beyond a more silvery sheen given to the dorsal plates. 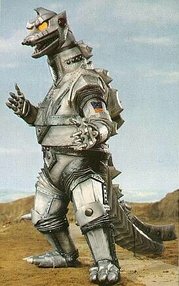 MechaGodzilla starts off disguised as Godzilla wearing a layer of fake flesh, predating Arnold Swarzenegger’s Terminator character by a good margin. However, MechaG gives off several hints that he’s a fake, such as a more high pitched roar, the loud clanking sounds he makes as he walks, and the yellow color of his heat ray, possibly a flamethrower rather than true blue atomic breath. Many fans still favor MechaG’s original Showa era design, and I agree its rather cool despite being a little dated and impractical compared to what we would consider a high tech super robot these days, toes seeming like an odd place to put missiles for example. MechaG’s strength was impressive to say the least, beating Anguirus while still incognito, fighting Godzilla to a stalemate in their first encounter, and then taking on both Godzilla and King Caesar at the same time, his incredible amount of firepower and crazy weaponry making for intense battles that earn him his position as one of Godzilla’s toughest rivals to this day. King Caesar is a fun and majestic kaiju modeled after the Shisa of Okinawan mythology, guardian beasts resembling a cross between a dog and a lion, many statues of which can be found in Okinawa. Caesar is one of the very few mammalian kaiju amongst Toho’s monster gallery, so he stands out and adds something special to the story. The movements of his ears grant him a surprising amount of personality, drooping while sleeping and rising up when alert and combat ready. Caesar’s roar was “borrowed” from Toho’s version of King Kong and personally I think it sounds better coming from him. He’s also interesting in that he’s almost purely a melee monster, but can still defend himself against beam using opponents like MechaG by absorbing his eye lasers through one eye and reflecting it out the other, a nifty trick even if its somewhat convenient that MechaG aimed for his eyes that many times. Anguirus only appears twice unfortunately, once in the beginning when he mournfully summons Godzilla to alert him to the trouble brewing in Japan, and again during his brief skirmish with MechG, his poor performance against MechaG and his new burrowing ability due to his role originally being meant for Baragon, who was cut from the script due to his costume being in bad shape from use on the “Ultraman” show. However, he serves his purpose as being the one to warn Godzilla and the first to confront MechaG and cast major doubt as to his true identity, and his suit is well made. The aliens, referred to by fans as Simians but only known as the Space Men from the Third Planet from the Black Hole in the film, wear silvery jumpsuits and like most Toho aliens appear human, except that when they are injured or killed they revert back to their true forms, a race of ape like humanoids with ink colored blood. 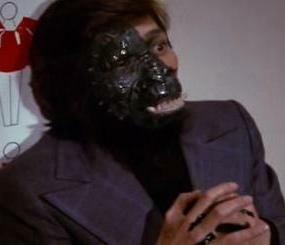 The masks and makeup used for their ape faces aren’t especially impressive, but its a step up from previous Toho aliens and the manner in which they change back is pretty gruesome, one scene that comes to mind being when one of their agents partially reverts to normal after his face is grazed by a bullet, grunting and moaning inhumanly, creeped me out when I was a kid. I also thought it was a nice touch that their reason for invading earth was that their own home world was in danger of being swallowed up by a black hole, though they hardly come across as sympathetic due to their genuinely evil actions and behavior. One last note worth mentioning is that during Nami’s prophecy film stills from “Ghidorah the Three Headed Monster” overlaid with fire were shown to depict her vision of disaster, despite King Ghidorah having nothing to do with the film whatsoever, a rather confusing scene to say the least. This film mixes science fiction and fantasy rather well with its Kaiju cast, alien villains, and mystical prophecies of impending doom and hope for salvation. The special effects by Teruyoshi Nakano are colorful and entertaining and the original score composed by Masaru Sato is upbeat and appropriate for a Showa era epic. Be warned however, this film is bloodier than earlier Godzilla pictures so it may be too much for young children, best to watch it yourself first and decide whether your little ones are old enough to handle it, though personally it didn’t bother me as a child, its far from being as bad as an 80s slasher flick or anything along those lines. Long story short, as one of the best Showa era Goji films, do yourself a favor and see this movie if you are into monsters, intrigue, alien plots, mechanical mayhem, and a return to more serious themes and imagery. 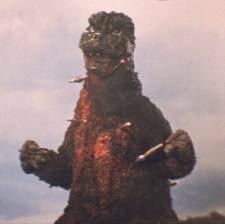 Posted on September 16, 2011 2 By Jon D. B.	Kaiju Movie Reviews! Posted in Kaiju Movie Reviews!, Toho Movie Reviews! Pingback: Black Hole Aliens Invade Marmit and Old School Fan Films! « SKREEONK! by puppy dog eyes WTF!? !